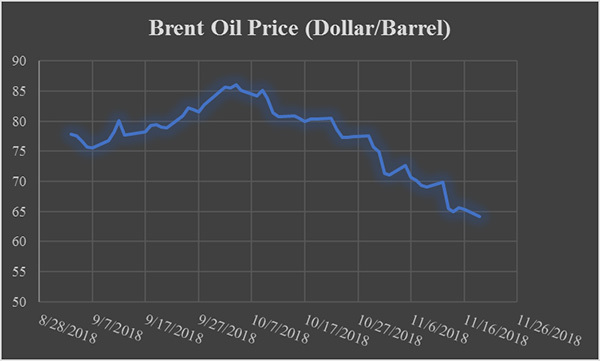 Based on probability’s result, the most effective variable on methanol price are the amount of supply and demand, the oil price and the coal price respectively. 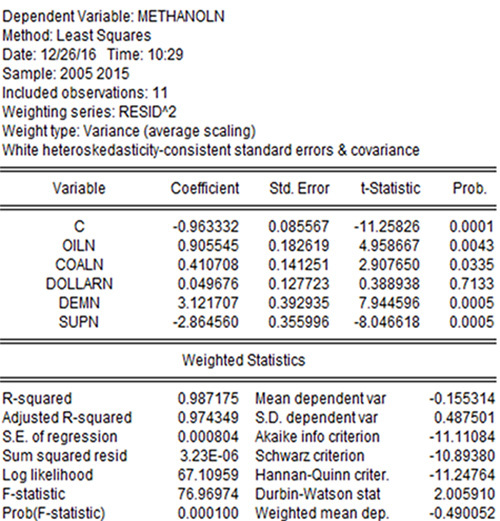 As it is pointed above, the descending trend of methanol and oil prices occurred at the same time. 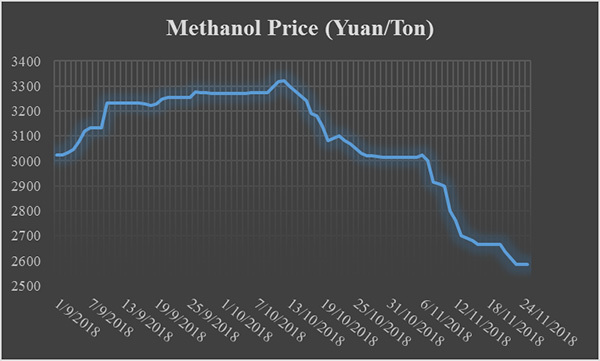 As a result, the methanol price of CFR China decreased to 270 Dollar per ton in current day while oil price hit under 60 Dollar per barrel. 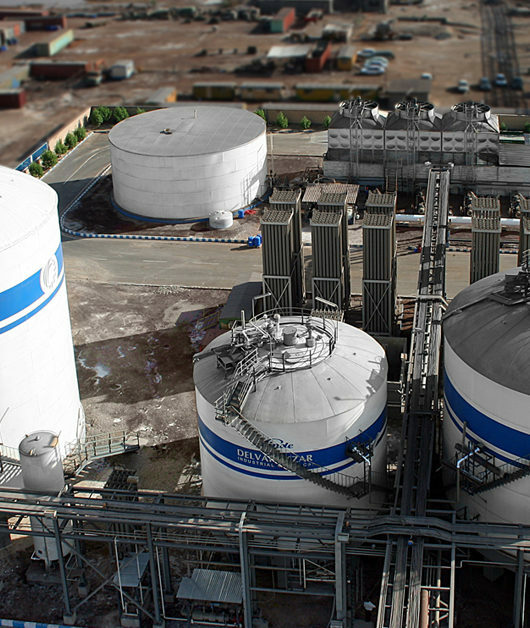 As it’s shown, decreasing in global methanol price led to lower Earning per share in the big companies’ financial statements. In order to reduce this problem, the companies have to plan to complete their value chain and as a result, lower global risks like downturn in global markets in the near future.